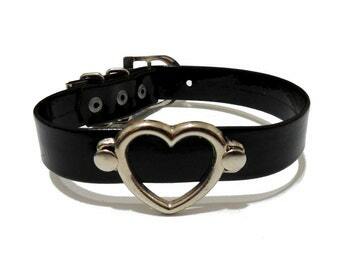 Double heart collar made with matte black faux leather, heart rings, round studs, a central ring and 2 adjustable buckle closures on the back. This ring choker is custom made, so if you don't see your size available, please message me with your neck circumference. Tenues Choker. D Ring Choker. 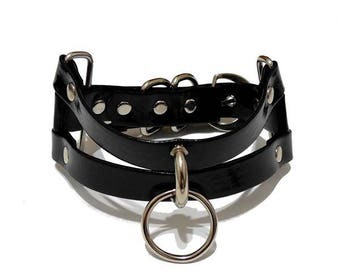 Vegan Patent Leather Collar.